Belina loves to play games. She would love to spend the day at Chuck E Cheese having a blast with all the other kids and playing endless games. Belina loves to dance, do flips, and likes when people watch her and clap for her. She is a smart young lady and already knows how to figure out computers and other electronics. She likes that she is smart and tells anyone who will listen. Belina is a kind-hearted soul. She wishes for everyone to be happy and no more fighting. Directions for Living Clearwater requests this wish for Belina. An Awesome Human grants the wish for Belina! Thanks An Awesome Human. "Have a wonderful time at Chuck E Cheese. Play some skee ball for me....."
One Simple Wish sends the gift to the Directions for Living Clearwater for Belina. Summer sent an update on the wish for Belina. "the gift card for Chuck e Cheese has arrived. Belina will be so excited. thank you for your generosity." 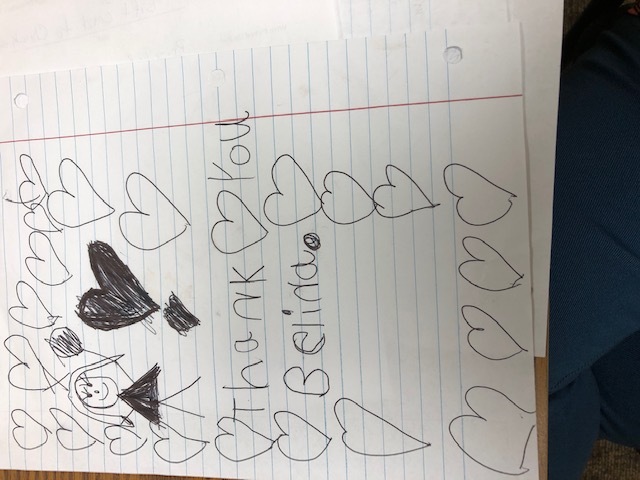 "Attached is the thank you note from Belina. Thank you so much. She was super excited about going to Chuck-e-cheese. " Want to Help Children Like Belina?